Finally, Cesar Montano shared his opinion to celebrities who arrested for their involvement of illegal drugs. Recently, celebrities Sabrina M, Krista Miller and Mark Anthony were arrested for their alleged involvement of illegal drugs. According to Cesar Montano, if there are more celebrities who involved in illegal drugs, it would be better if they will surrender to authorities as soon as possible. “Dapat sumuko na sila ng maaga. Kasi hindi naman na-late ng advise ang ating president. Sabi niya sumuko na kayo. Ngayon nasa kanila na yun kung matigas ang ulo nila. Nasa kanila na yun kung magmamatapang sila. Nasa kanila na yun kung mahihiya sila,” Montano said. Asked Cesar Montano his comments to President Duterte’s campaign on illegal drugs. “I will abide kung ano yan. I will respect it kasi pinili ko na siya at saka nakakapit ako sa tiwala ko sa kanya because I believe in him and his vision and leadership.” He said. “Were living in the same country and our leaders, like our President nakikita natin na parehas ang kanyang treatment sa lahat I trusted him at hanggang ngayon, dahil siya ang nakita kong leader, dapat pagkatiwalaan ko siya. 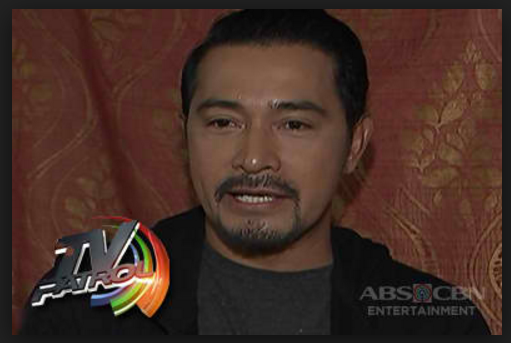 Kung anong desisyon niya, kung ano ang gagawin niya because he knows what he’s doing,” Cesar Montano said. Good for you, Cesar! It is just because that some people are used to be treated special during the previous administration. All must remember that we have a President who abides the law and leads according the law. No one is above the law, according to the Constitution of the Philippines. What is good in having laws and policies if they are not being implemented. Sadly, those group of people who are against Duterte's Administration understand and some were authors of the law, who at the same time are trying to bend the law based on how it pleases them, and, just to give justice to their unlawful acts. Cesar is right, President Duterte had many times warned those addicts and drug pushers to surrender. Don't blame your misfortune to anyone, whose intention is just to make the country progressive, safe and a better place to live, for all not just for few.